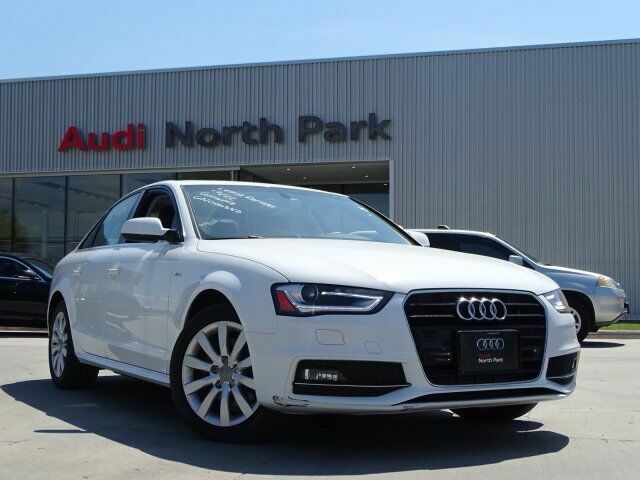 Audi Certified, CARFAX 1-Owner, GREAT MILES 25,397! Premium trim. WAS $24,995, EPA 31 MPG Hwy/24 MPG City! Leather Seats, NAV, Sunroof, Turbo, Rear Air, AUDI MMI NAVIGATION PLUS, Alloy Wheels. READ MORE! AUDI MMI NAVIGATION PLUS TFT color, WVGA, 7" display screen, control knob w/joystick and buttons in center console, Operates climate control, central locking, instrument cluster, vehicle diagnostics, cellular phone, navigation, CD and radio functions, Bluetooth streaming audio and MOST optical bus connecting all infotainment electronics, Audi Connect w/Online Services, HDD Navi w/Voice Control Controls cellular phone, CD, radio and navigation, speech-to-text engine, Radio: 1 CD/DVD-Player & HD, dual SD card slots and SiriusXM Traffic w/4 year subscription, Color Driver Information System w/Trip Computer, MMI high control panel, color, 5-function trip computer (fuel range, average fuel mileage, current fuel mileage, average speed and elapsed time) operated by toggle switch at end of. Sunroof, Aluminum Wheels, Keyless Entry, Steering Wheel Controls, Child Safety Locks, Heated Mirrors, Electronic Stability Control.